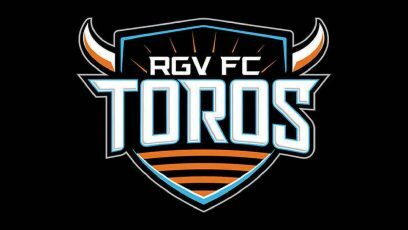 The RGV FC Toros yielded three unanswered goals in the second half to fall 3-1 to San Antonio FC on Wednesday at H-E-B Park. The loss drops RGV FC to 4-10-12 on the year, while San Antonio snaps a four-match losing skid to improve to 10-9-7. Jesus Enriquez put the Toros on the board first, scoring off a feed from Pablo Aguilar in the third minute. Enriquez took three touches to position himself in the center of the penalty box before firing into the right side of the net from about 16 yards away. San Antonio leveled the match shortly after halftime. Connor Presley scored on his first touch from about 12 yards away, sending a left-footed shot into the lower-left corner of the net off a feed from Lance Laing. San Antonio took a 2-1 lead in the 62nd minute, as Laing chipped the ball into the net from the right side of the penalty box. SAFC iced the game in the 81st minute. Sonny Guadarrama played the ball forward from San Antonio’s half, and Ever Guzman fielded it on a bounce and chipped his first touch over Corti from about 20 yards. Romilio Hernandez made his debut for RGV FC as a second-half substitute. The Toros return to action with a road match against Phoenix Rising on Sept. 5.